It’s Follow-Up Friday: Pious Puzzling edition! And today, I’m proud to announce the latest edition to the PuzzleNation line of apps and games: Penny Dell Bible Word Search for the iPad! Featuring our signature TOUCH-to-SOLVE technology, which allows you to circle words and phrases with just a fingertip, Penny Dell Bible Word Search is not only a fun puzzle-solving experience that’s suitable for all ages, but it can also be a useful memorization tool for Bible passages! 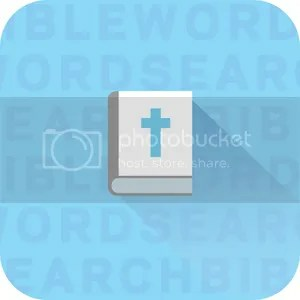 Each passage is broken up into searchable words and phrases hidden in the grid, merging an enjoyable puzzly challenge with time to reflect on the words themselves. With multiple sets, each containing 65 puzzles, you’ll have plenty of opportunities to study the Good Book and share its messages and wisdom with family and friends. 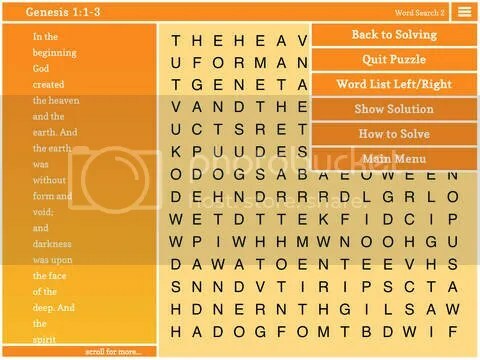 Getting started is easy because Penny Dell Bible Word Search is a FREE download for iPad! We’re absolutely thrilled to add this title to our library of quality downloadable content, one that we hope all our fellow puzzlers and PuzzleNationers will enjoy. This entry was posted in Games, PuzzleNation, Puzzles and tagged announcement, Bible, Classic Word Search, faith, Follow-Up Friday, games, Good Book, iPad, Penny Dell Bible Word Search, Penny/Dell Bible Word Search, Pop culture, PuzzleNation, Puzzlin' fool, Word search, Word Seek, Wordplay by gmdirect. Bookmark the permalink.